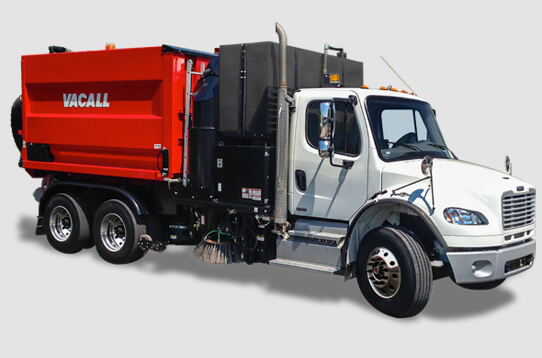 Heavy-duty cleanup, whether routine or after major events can be a challenge. Municipalities are challenged with spring and fall cleanup, and catch basin cleaning. Airports are charged with keeping runways clear of debris very quickly. Event venues must quickly clean up debris and trash left in parking areas. 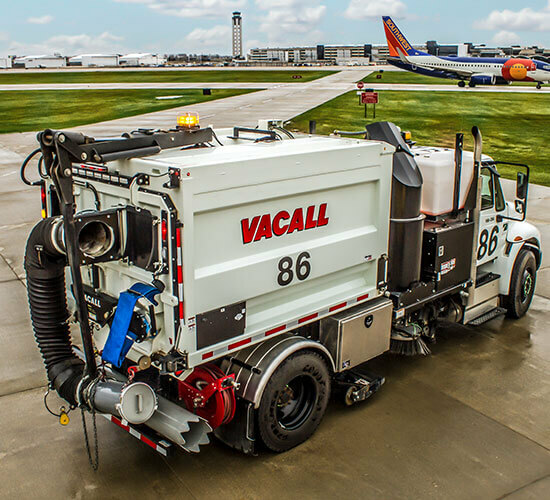 Vacall’s AllSweep combination sweepers provide the versatility to handle all these jobs and more. 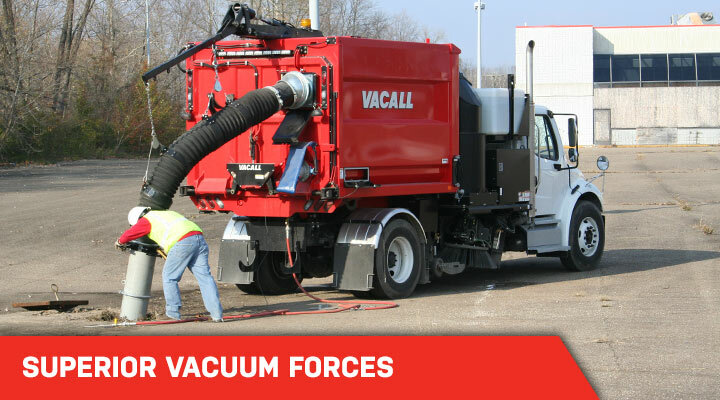 Easy to operate, these models make routine work of these tough jobs, with the industry’s strongest maximum vacuum power and widest sweep path A handy optional attachment can also vacuum litter and other material from roadside catch basins, expanding the versatility of the machines. 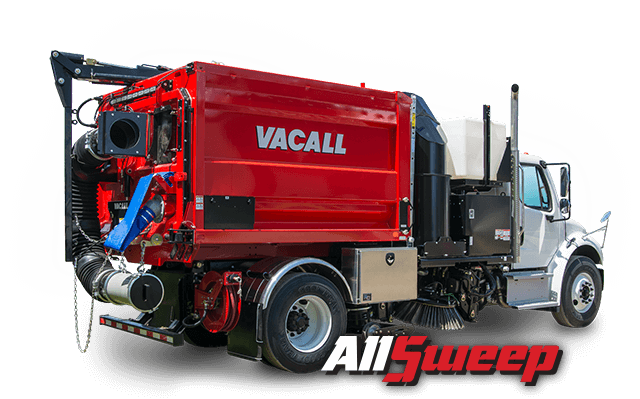 Only Vacall’s AllSweep industrial street sweepers use the industry’s greatest vacuum forces and design to perform the heavy-duty cleanup needs that go beyond the abilities of a standard street sweeper. 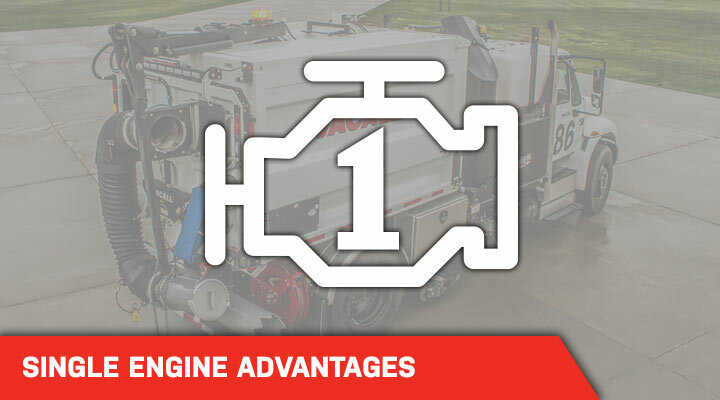 The industry’s greatest vacuum forces – up to 31,000 CFM — handle exceptionally demanding work, removing light and heavy debris and even millings on road resurfacing projects. 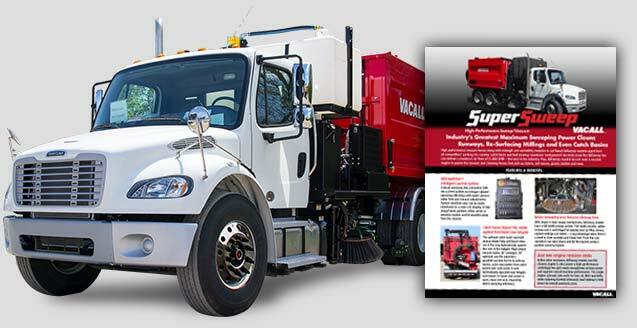 The industry’s most powerful sweeping machine. Combination models also perform catch basin cleaning and leaf collection.